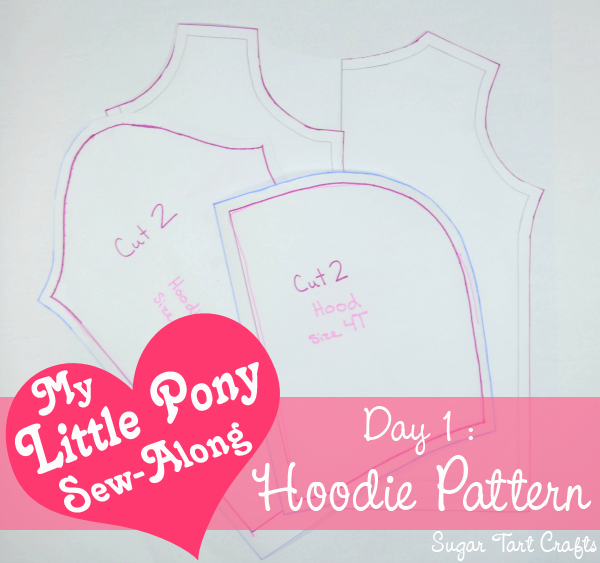 Welcome to Day 1 of the My Little Pony Costume Sew-Along! 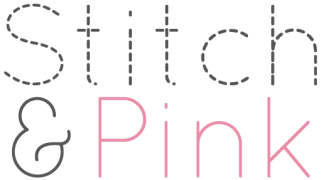 Hopefully most of you have already gathered your supplies and are ready to start stitching with me. 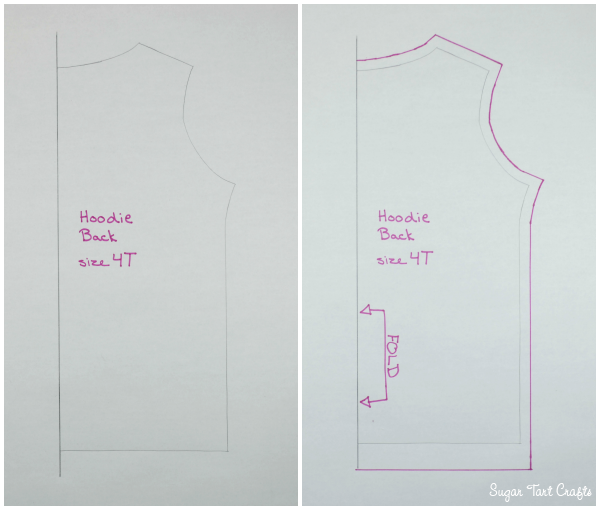 Today we will only be making the hoodie pattern though, so you still have an extra day before the actual sewing begins. 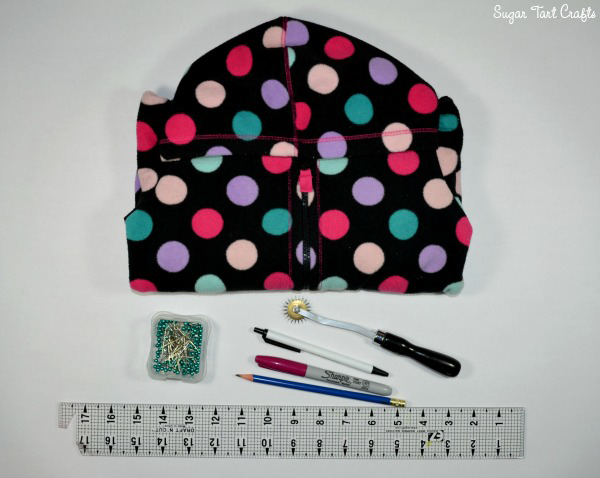 Making the pattern is honestly one of the longest steps in the entire sew-along, but I promise it isn’t very difficult. I just wanted to share tons of pictures to help make sure that I cover as many of your potential questions as possible. After we get through the first piece, I’m pretty sure you’ll be able to understand the system, and continue on with very little instruction. So lets get started! and we are simply going to trace them one at a time. 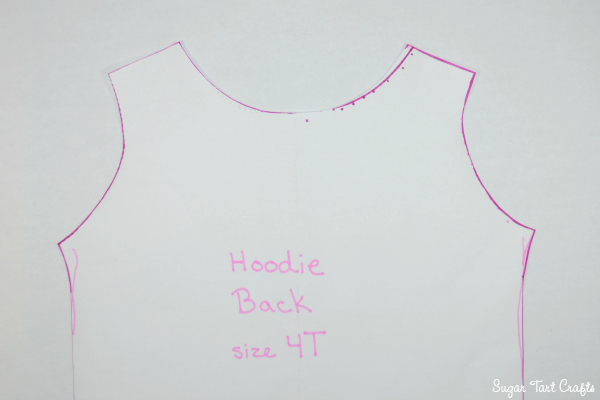 First lay your hoodie flat on your paper. Fold the hood down, along the seam where the hood and shirt meet. 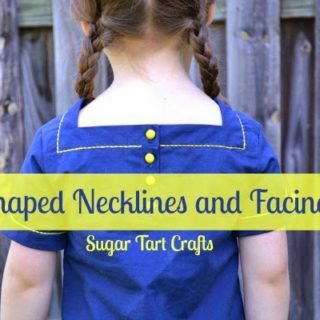 Trace around both side seams, the bottom edge, the curve of the collar, and the two shoulder seams. 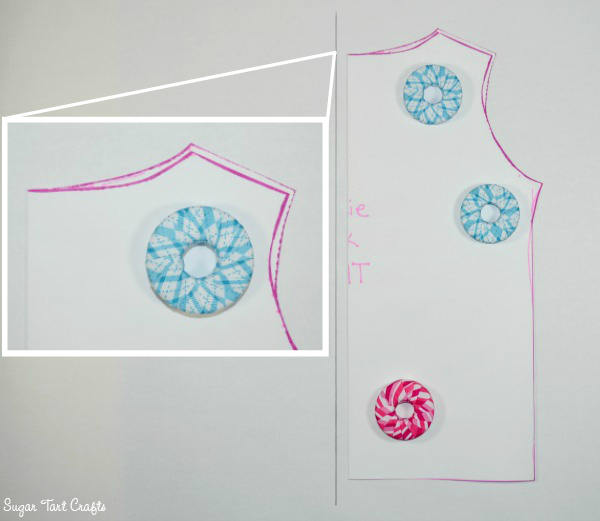 Next, use your pins to poke through the armhole seam and make little pin pricks in the paper, following the curve. You may want to place a piece of cardboard under your paper so the pins have something to stab besides your table. You could also use the tracing wheel for this if you are very careful to follow the curve. 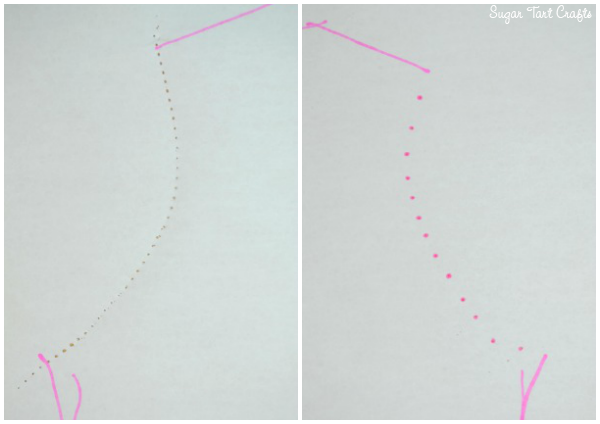 The left is done with the tracing wheel, and the right is done with straight pins. 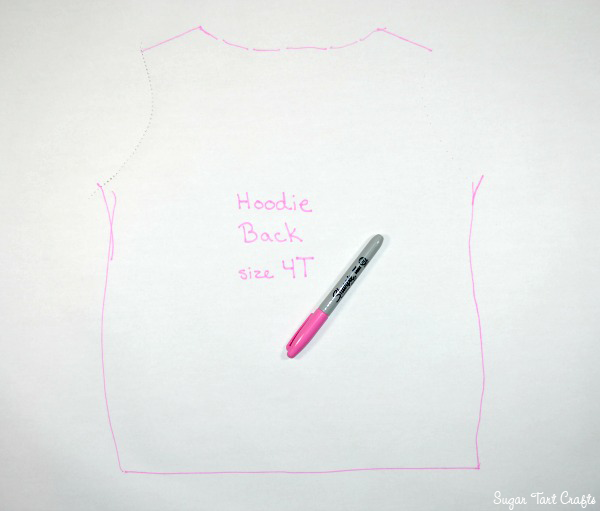 This is what you should have when you are finished, but don’t move your hoodie just yet! Being very careful not to shift the hoodie, flip the hood up to it’s normal position. 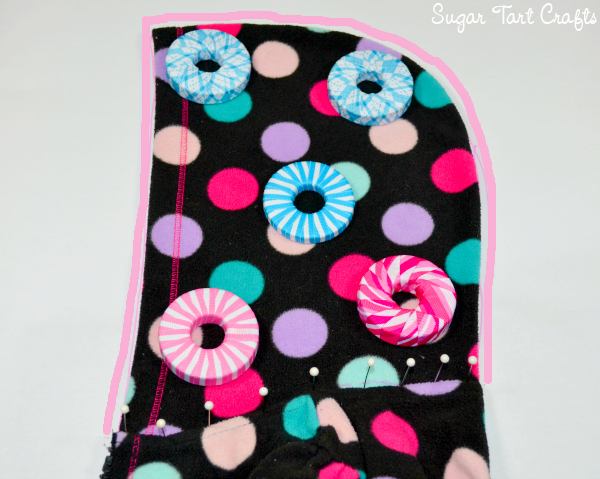 Repeat the pinhole process along the seam of the front collar. Now you may set your hoodie aside. You should have something similar to this underneath. Straighten the lower edge, and square up the side seams. Then connect the armhole pin marks and smooth out all the edges. For now just follow your original traced line. 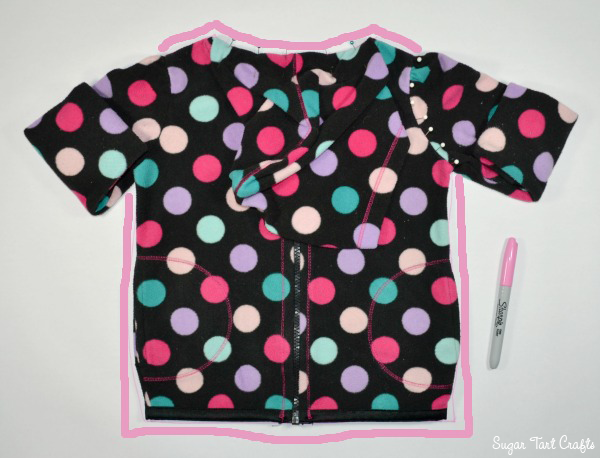 Cut out your pattern and fold it in half. It will most likely not be symmetrical, and that’s ok. Draw a vertical line, and place your center fold against it. 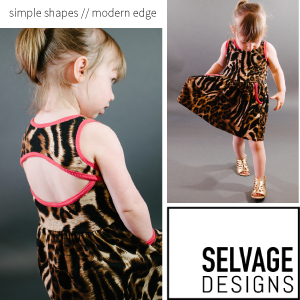 Trace around your pattern following whichever edge is most prominent. 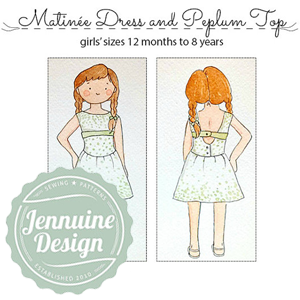 It may change from front to back in different areas, but blend the line as best as you can. 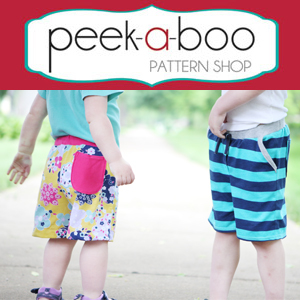 Now you can add your seam allowance. and 3/8″ or 1/4″ for everything else. Just try to keep it consistent throughout. 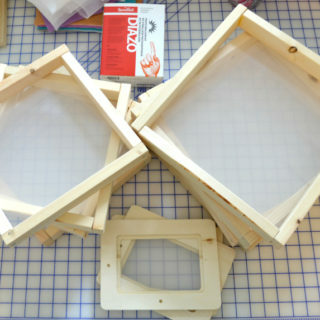 or simply fold the paper on that line and cut out a new symmetrical pattern piece. Now lets go back to you original tracing. 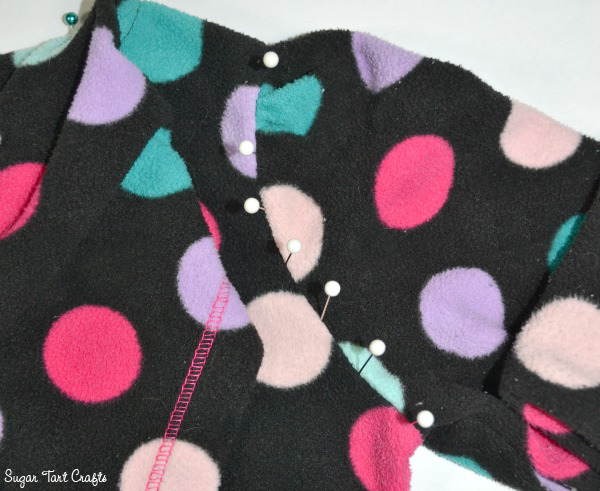 Unfold it and begin by connecting the pin marks along the collar. 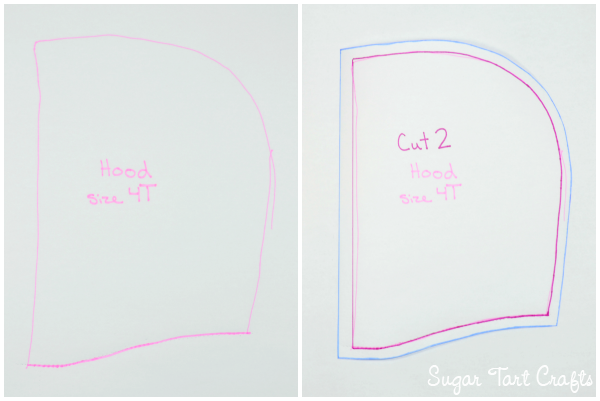 Once the curve is smoothed to your liking, cut it out and fold the piece in half again. 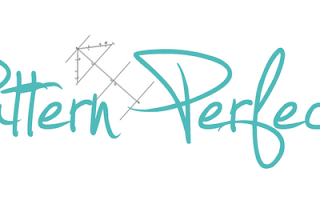 Draw another vertical line and trace around the pattern once more. 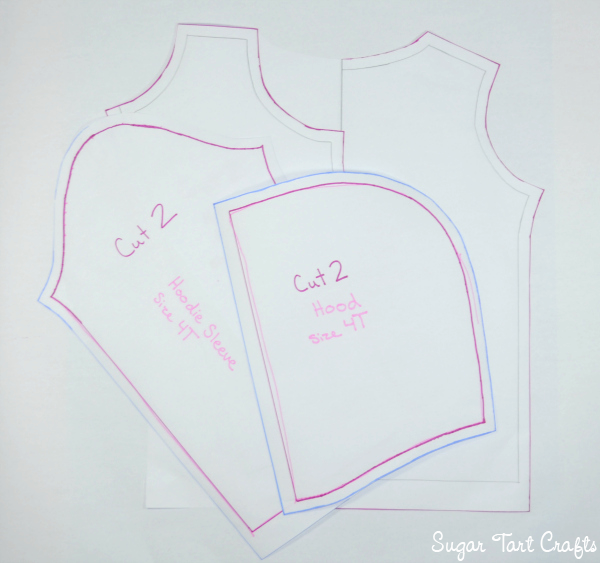 This will be your FRONT pattern piece, and when you add your seam allowance, be sure to add it to the vertical line as well. That is where the zipper will attach so I prefer to use a 1/2″ SA there, a 1″ along the hem, and a 3/8 or 1/4″ everywhere else. 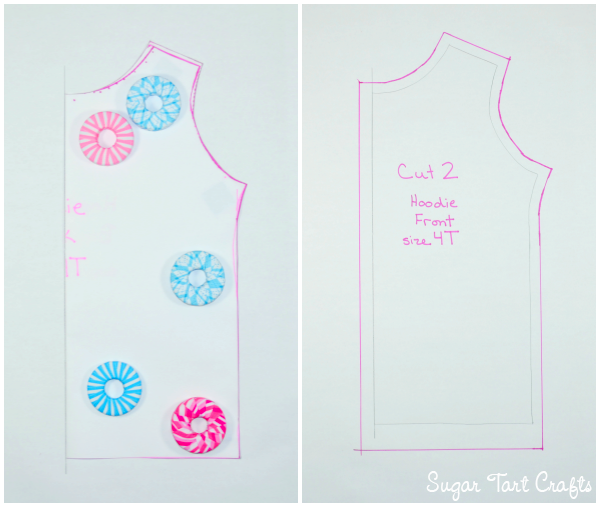 Remember to use the same measurements that you used for the back piece. This piece will not be cut on the fold, so you will need 2 of them. 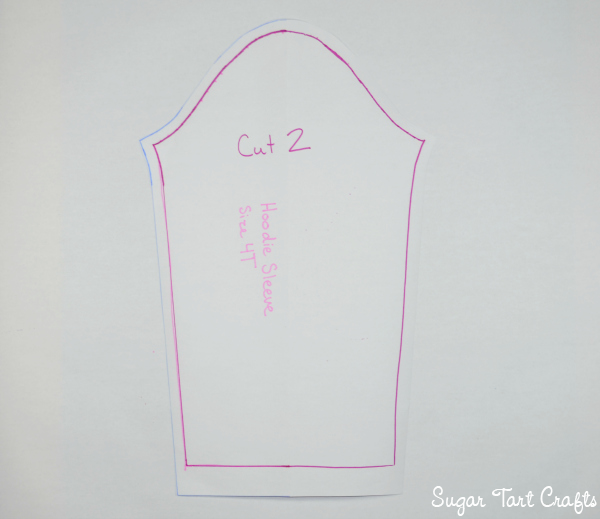 Make sure you are cutting a left and a right version if you’re using a fabric with a definite front and back. 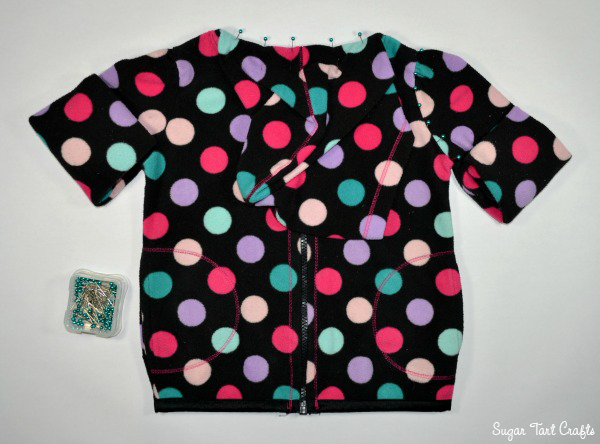 Dig your sweater back out and lay the hood flat this time. Trace along the outside edges, and make pin marks along the section where it meets the collar. 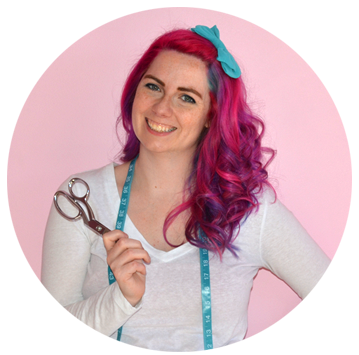 Straighten the front edge, smooth the lines, and add your seam allowance. 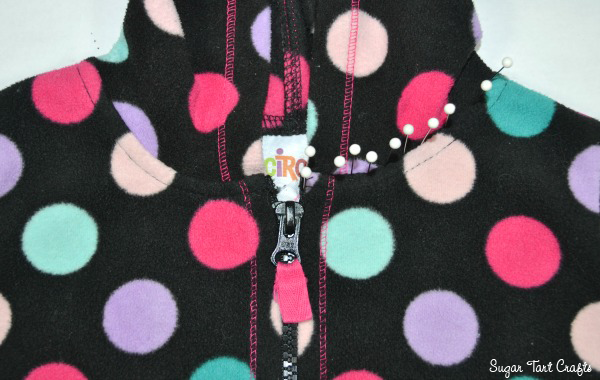 I like to use the same measurement for the front edge as I used for the zipper edge, so it’s 1/2″ here. 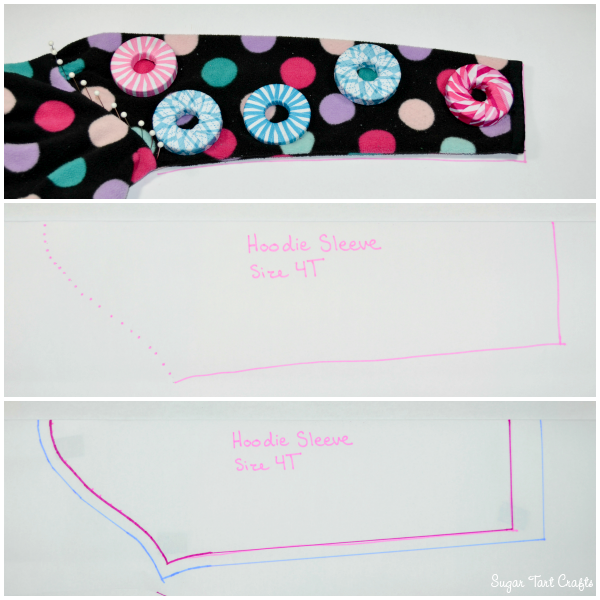 If you would like to line the hood, the SA on the front edge can remain at your 3/8 or 1/4″ measurement. This time the vertical line will be horizontal instead though, and will run along the top edge of the sleeve. and tomorrow we’ll begin sewing this hoodie together…Starting with the mane! but there’s no going back if you make it too small. 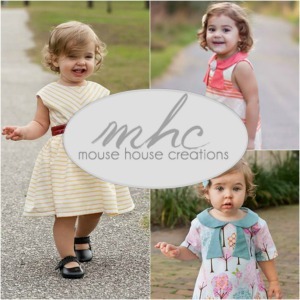 Ponies, Unicorns and Pegasi – Oh My! Glad you were able to find the info you needed. I can't wait to see your version! I just did mine on wrapping paper. 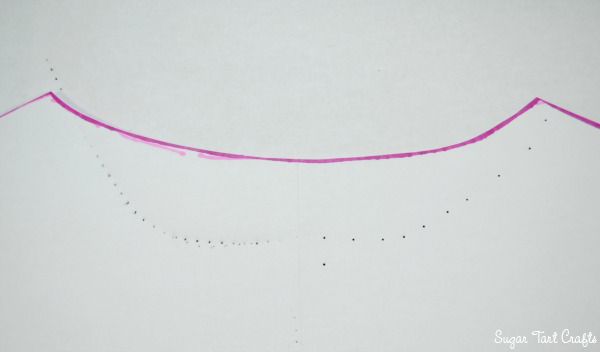 I found that the genius graphing on the underside of the paper made the process of cleaning up lines, making seam allowances and cutting it all out extremely easy. Great job on the tutorial. Simple and so easy to follow. On to the hair! That's a brilliant idea! I rarely ever see the kind with the grid on it anymore, but it's great if you already have some on hand. Thanks for sharing! Thanks for the tip! Their Christmas stuff should be out really soon if it isn't already. I have to know how to make those pattern weights! Too clever! Nevermind! Just found your post about them lol! Glad you found it. Those weights are so easy to make, and I swear I've used them every single day since I've made them, even if it's just to distract the kids for a few minutes. They are definitely awesome! My daughter doesn't have any hoodies that fit right. My poor kids tend to have larger heads than what they make for hoodies. 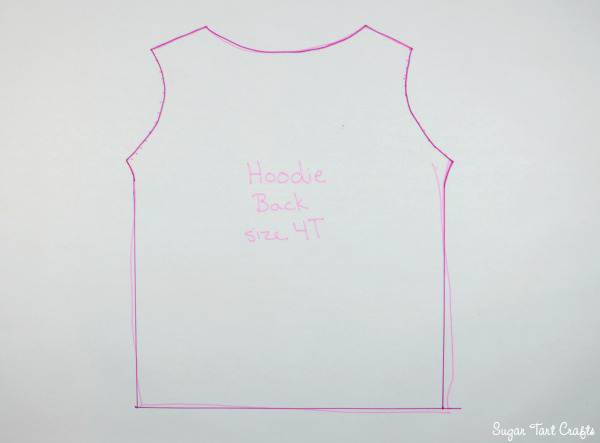 Would it work to use a long sleeve shirt for the general part and then measure her head to try and get a measurement for the hood part? She wants to be Fluttershy and I haven't sewn anything more than curtains and a stuffed animal, and don't quite know how to fudge things the right way to make it work. Thanks!